A space like this should be a creative, inspiring and happy place where children can feel safe, playful and, of course, educated. The architecture and the building that the primary school exists in should represent all of these things! 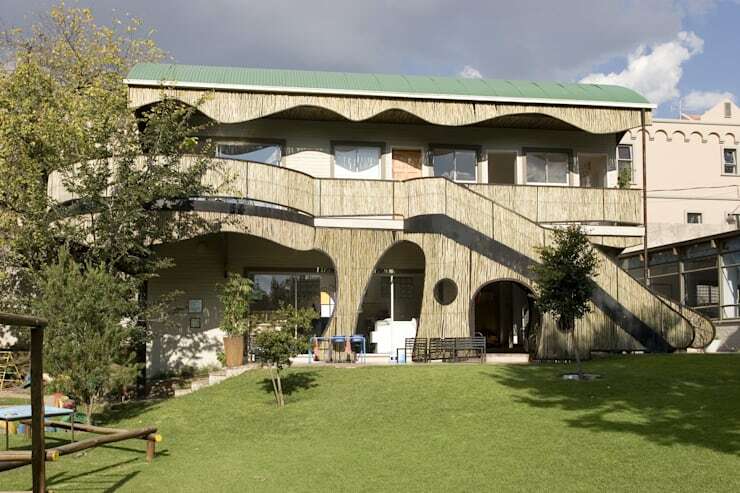 Today we will visit the Bluebird Pre-Primary School in Johannesburg, where design professionals Environment Response Architecture have created a beautiful piece of architecture that any child would love to visit. They have explained that they wanted to the building to be inviting, nurturing and educational in a way that wouldn't intimidate children. 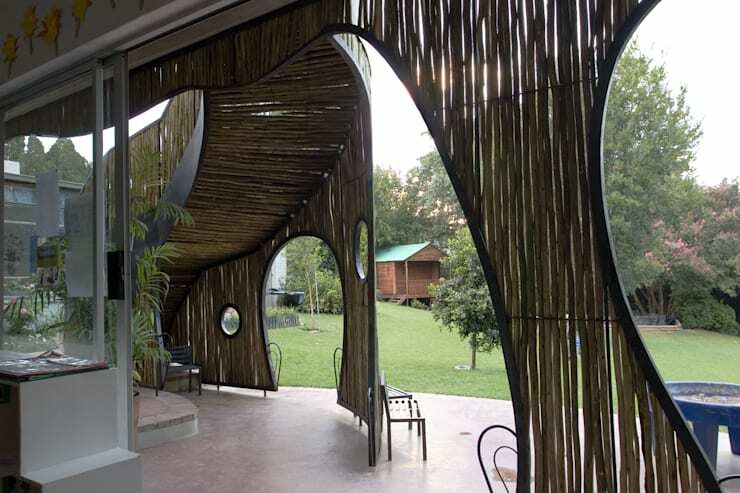 A simple and cost-effective project, we will see how the designers have created a very sturdy and resilient structure, which still manages to be sensitive and delicate. Let's go and explore it! The double-storey primary school features a gorgeous wooden facade that seems to flow across the front of the building, like a wave. This softens the whole look and feel of this expansive building. The designers have explained that they wanted it to feel like the children were holding on to their mother's skirt , which is what this design was inspired by. How innovative and smart, giving the children a feeling of safety, warmth and protection. Despite this soft look and feel of the facade, it also looks safe and secure for the children. The curved balustrades ensure that no one can disappear into the garden when they aren't meant to! There are large Eucalyptus trees planted throughout the property, which provide shade as well as a beautiful form of natural decor. The garden has been neatly arranged with a trimmed lawn, making the ideal playground. There is also a large terrace, which provides another space where the children can enjoy the outdoors. If we take a step back from this building we can see how the bottom level features all sorts of openings and gaps of different sizes and shapes. This makes the structure look like it features all sorts of caves and hiding spots for the kids, which are safe and homely. The garden furniture has also been carefully selected for the children, ensuring that they have comfortable spots to enjoy their lunch in the sunshine or talk to their friends. The benches, for example, are sturdy and durable and will last for many years no matter what weather they are endure. Yet, they are also comfortable! From this angle, we can see how the green roof contrasts beautifully with the light wooden facade, creating a very welcoming and warm overall look and feel. If we head further into the garden, we can see how eclectic and unique the architecture of this building is. 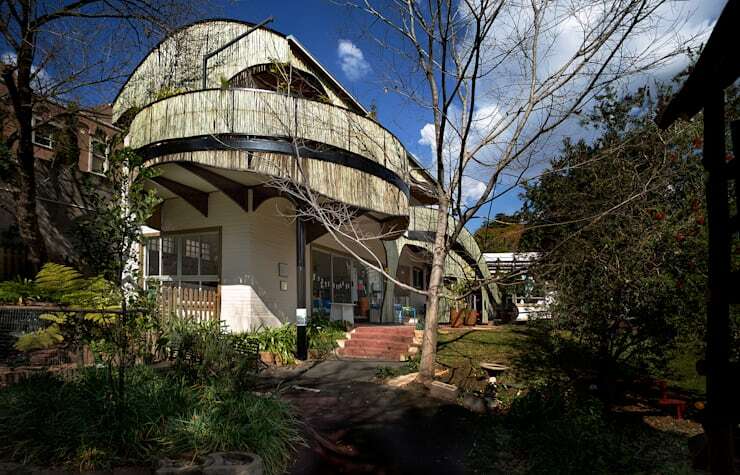 The building twists and turns around the space that is available to it, almost looking like a mushroom in a faraway fairy tale land. As a child, this is an enthralling space to visit where you feel like fairies and little gnomes are hiding in the gorgeous garden. The architects have played with the different levels and space available to them, adding steps and stones to lead children to the primary school. 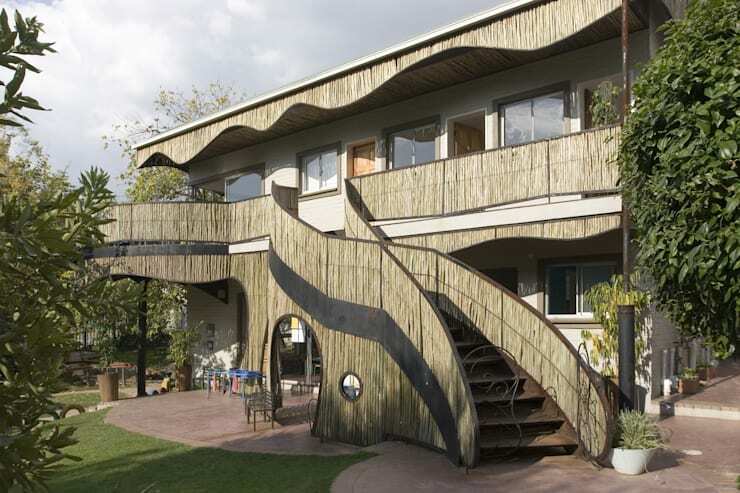 Have a look at this quirky eclectic home for inspiration when it comes to home designs that are similar to this. If we head into the little bottom nook of the primary school, we can see how exciting this must be for a child. From the inside out, it looks like a magical land with endless opportunities. There are little openings and windows throughout this space, making the children feel safe and cosy in this space while still giving them access to the outdoors. Don't you love how plants and flowers have been included into this terrace space as well, enhancing it and making it feel that much more natural? These complement the curved lines that feature throughout this innovative and unique facade. If we peek out of this spot, we can see that the garden holds all sorts of swing sets, jungle gyms, play areas and even a tree house. This is an adventure land full of possibility! 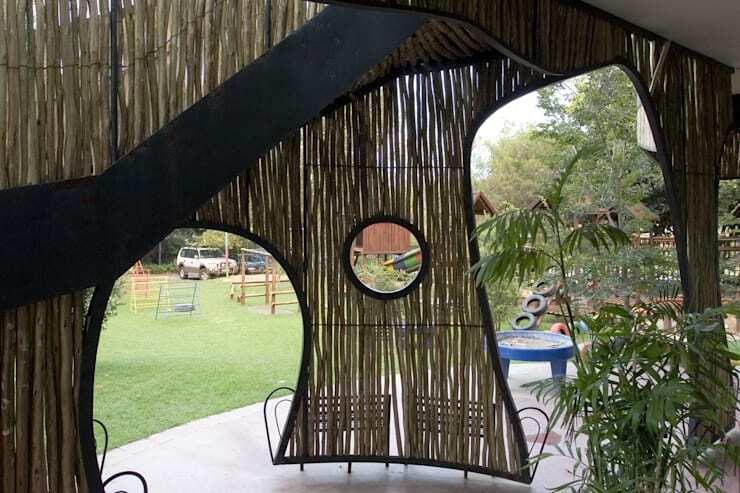 You'll notice that the architects have spent a lot of time cultivating a beautiful and dynamic outdoor space where the children can play, stretch their legs and let their imaginations run wild. Would you want this child to go to this primary school?